We started this trip as a beginner trip for all the new people who have been coming to our Grotto meetings to check us out. We want to give everyone an opportunity to get underground as soon as they can. Eventually showing up in Sunday morning was Steve Paylor and his girl friend Debbie. 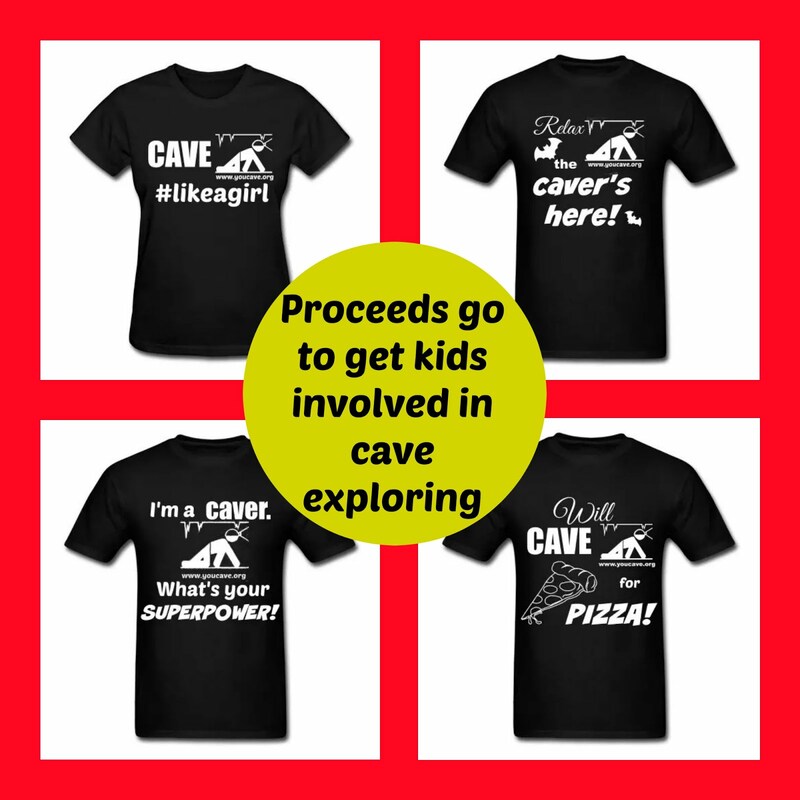 This would be her first caving trip. Amos was there. Marcy was there with there with her 2 nephews, Josh and Even. 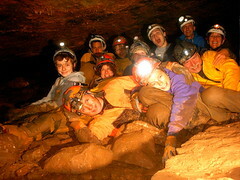 This was Evans second caving trip. 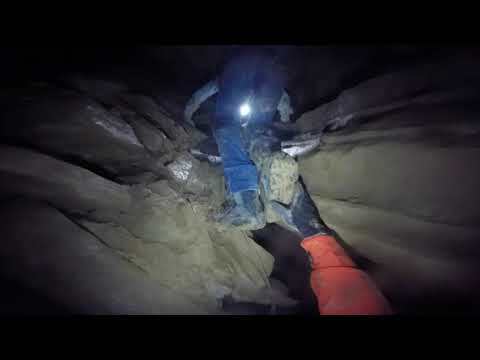 Josh has been caving for several years already. Paul McKenzie was there with his two kids, Connor and Amelia, who have caved a few times before too. I was there with my grandson, Zahne. 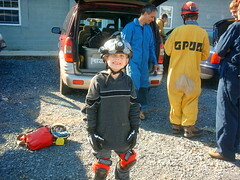 This was his first caving trip. By the time we drove there and changed and sorted out gear we entered Carnegie about 12:30. The entrance wasn’t too wet. Fairly normal for this cave. As we entered into the first passage there was more water than the last time we were there. The duck under wasn’t very high, just a puddle and the main room only had water to just below my knee. A lot of this deeper stuff I had Zahne jump on my back as I waded through. It would have been too deep for his comfort and we were just starting out. I didn’t want him getting too cold too soon into the trip. We divided into two groups. Marcy, Evan, Steve, Debbie, Zahne and I were in one group and we headed for the back of the cave. The rest went high and to the left then were going to where we were headed when they were done. Evan and Zahne wanted to poke around in every hole they could find. They really had fun doing this. We also got to see a few small but really nice formations in this part of the cave. The only saving grace for sloshing through all that mud and water. We arrived at the back of the cave and sat down to rest a little. We heard off in the distance some voices as the other group was catching up to us. So we sat there in the dark and waited for them. After they entered the room and sat for a moment they were also all off exploring all the corners of the room. We took advantage of the moment and did a “lights out”. Luckly I still had some Wint-o-Green Lifsavers in my pack from the last trip. We passed them out, sat in a circle and crunched and crunched and examined as each other “sparked” their Lifesavers. After the mandatory group picture we started out. A few brave souls explored down another passage. It was wet and crawly so I hung back a little. Steve, Debbie, Amos and some of the kids kept going. As soon as we were all set up again we headed back to the main room and headed towards the long crawly passage. We looked in, but Zahne and I were starting to get cold from being so wet, so we opted to head out of the cave. We walked back to the cars cold and wet and satisfied that we had a good day underground. Too cold and wet for Zahne? I don’t think so. 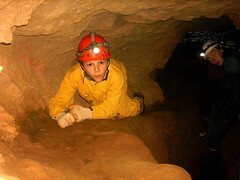 He’s bugging me to go on another caving trip as soon as he can. I think he’s as addicted to caving as his Papa is. That’s a good thing. 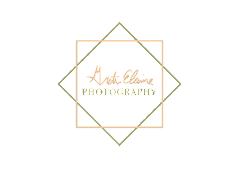 For more pictures on this trip go here.